Nick Schultz | The Phoenix Sister Jean celebrates Loyola's win over Southern Illinois Jan. 27. 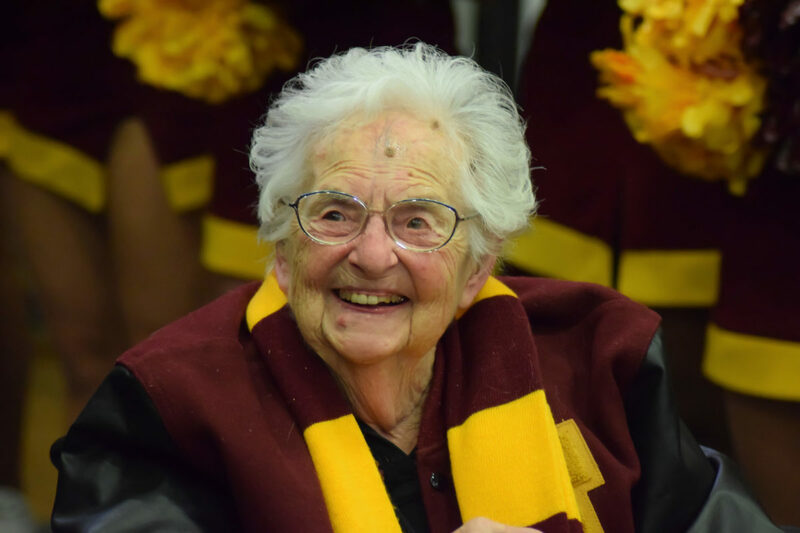 Loyola men’s basketball team chaplain Sister Jean Dolores-Schmidt, BVM, who became an international celebrity during the 2018 NCAA Tournament, made an appearance in a commercial during Super Bowl LIII Sunday night. The ad, which was for YouTube TV, was titled “Watch Like a Fan” and featured clips from major TV shows and fan reactions to sporting events. Sister Jean’s cameo came 0:20 into the commercial. While some fans might have been surprised to see Sister Jean make a cameo during football’s biggest night, she knew she’d get screen time. YouTube TV had to get permission to use her likeness, but she didn’t know when it would air. Former Loyola center Carson Shanks, who graduated after last year’s run, appeared in the commercial hugging the 99-year-old nun after an NCAA Tournament victory and took to Twitter to showcase his reaction to the ad. Apparently I was just on a Super Bowl YouTube TV commercial hugging Sister Jean. What is life. 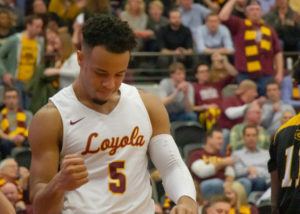 In a phone interview with The Phoenix, Shanks said he was on the bus with the team back from a game struggling to watch the game when he got a text from a friend who saw him hug Sister Jean in the commercial. As for the game, itself, the New England Patriots defeated the Los Angeles Rams 13-3 for their sixth Super Bowl title. Fans were quick to jump on social media and criticize the lack of action in the game, as only one touchdown was scored. Sister Jean agreed, saying she wished it would’ve been more entertaining and higher-scoring. 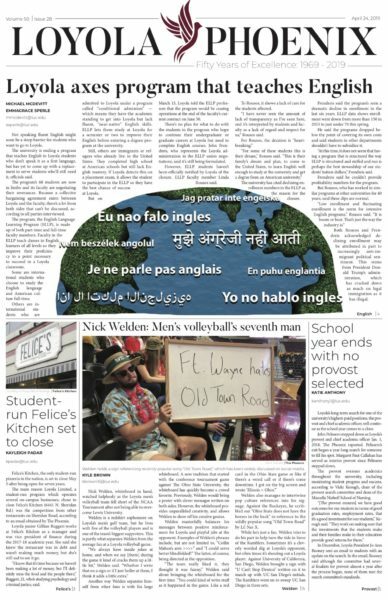 YouTube TV didn’t respond to a request for comment at the time of publication.